Editor’s Note: On January 2, I posted a critical review of Jimmy Nelson’s “Before They Pass Away.” When I put it up I contacted Jimmy Nelson through his website and offered him the opportunity to respond. He took me up on that offer. What follows is posted exactly as received. I extend my appreciation to Mr. Nelson for taking the time to send these comments. Thank you for taking the time to write an article about “Beforethey,” for your blog. I must compliment you on your observations and your ability to write. A talent that I am afraid I do not have hence why I generally just try and make photographs. 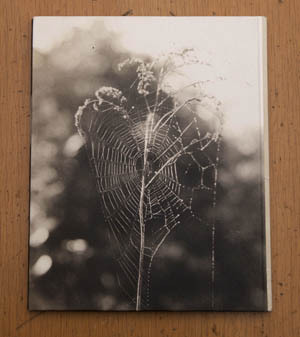 Initially I would like to say that what I have produced is a very personal document which has grown a commercial skin. It goes without saying that producing projects of this scale require enormous investments hence the somewhat pompous way it which it presents itself. That is not to say that what I see and have experienced is disappearing very quickly and I find it enormously sad. Change is inevitable and the discussion we have here is a healthy way to learn how to progress forward. Thank you for taking the initiative in contacting me and helping me continue to learn by having to answer your very good questions. It would be my pleasure to reply to your review. Indeed it is. But not too slippery dare to discuss and yes using the exotic, distant and other, makes it more immediate and attractive to a wider and perhaps originally uninterested new audience. You are right in saying that my anthropological observations are loudly announced. This is very deliberate, as to cause a stir and to act as a catalyst for discussion . Just the same as the title of the book , Before They Pass Away. I believe that culture and appearance are directly linked. This belief has been developed and evolved over many years of me, living, cohabiting and photographing these indigenous cultures. The aesthetic authenticity of their appearance will “Pass Away,” very soon. At the same speed with which the recent digitization of the world has arrived. What is disappearing is not a romantic idea, it is the essence of our cultural origins and individuality. The Homogenization of the world will spell the death of authentic cultural creative expression. As far as I am concerned there is already a dichotomy, which is the essence of what I present in my book. You are right when you say there are some universal realities which are ignored. But as I am not a studied anthropologist, I am purely communicating what I have seen and have experienced first hand. More often than not academic criticism and syndical assessments are directed by non objective sources who may not have had first hand experience. Yes it is a reverse observation not discrimination, to bring them to our attention to the fact that their ” Idyllic Garden of eden will definitely soon fall.” It is also tragic narrative portrayed in a romantic non fiction because it is fact. I find it no more troubling that the way we present ourselves in all our developed the worlds printed commercial media. True or false, it is the way we like to perceive ourselves and be perceived accordingly. The Massai working as a Night Security Guard is still a Massai. Much the same as a Cherokee Indian working in Mc Donalds. But what they are both not capable of teaching us “Love peace, survival and sharing as perhaps they used to when they lived, acted and dressed in their traditional settings. What they now teach would be an applied set of lessons. Lessons adapted to a very different world to that from where they originated. Lessons which would definatley not be traditional. Indeed it is too late for the Cherokee working in McDonalds . Not only have they not retained their heritage but they have lost all relative respect and pride. Both of which are still to be seen in the tribes and cultures which I documented. Thank you for the compliment and yes the photography is very time consuming and as I have communicated at length, this project is still in its infancy. 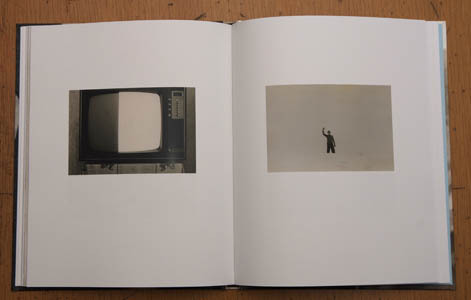 Production is in place to return to all the subjects in question and present them with the book and their photographs. A process which will be documented on film and give the people the voice to speak for themselves. What Mark Blaisse , the author to the introduction states is 100% correct in his statement. 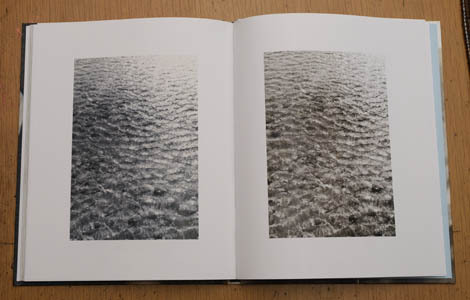 In this case as well as in the production and sale of the book, I state at length that what I have seen is photogenic. I state at length that my representation is one of positive discrimination. I have decided from personal experience, which is anything but culturally arrogant that what I have photographed is my personal vision and designed to create debate. The similarities are of no coincidence as I used Edward Sheriff Curtis as a inspiration. Curtis 30 year document can be perceived as romantic yes but as flawed? “Taken as a whole, the work of Edward Curtis is a singular achievement. Never before have we seen the Indians of North America so close to the origins of their humanity, their sense of themselves in the world, their innate dignity and self-possession. These photographs comprehend more than an aboriginal culture, more than a prehistoric past — more, even, than a venture into a world of incomparable beauty and nobility. Curtis’s photographs comprehend indispensable images of every human being at every time in every place. 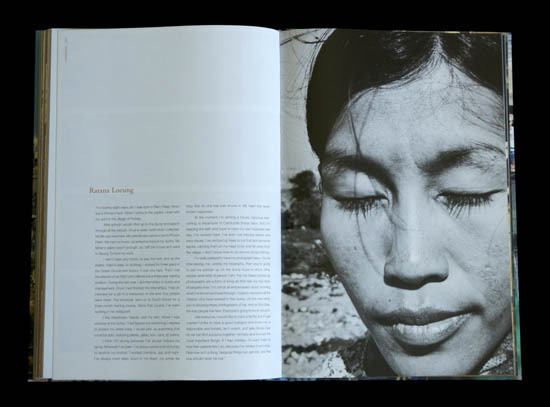 In the focus upon the landscape of the continent and its indigenous people, a Curtis photograph becomes universal. With all Grand artistic cultural statements, both positive and negative criticism ensues. Edward Curtis received both but the in hindsight large majority of contemporary critic is positive and admirable for the monumental undertaking he achieved. As I have only just begun my project Beforethey it seems very difficult to make an direct immediate comparison with Curtis’s extraordinary ethnographic mapping. Let alone to judge me for my own peculiar standards on a result of an undertaking which is far from finished let alone to be applied to long term cultural preservation. 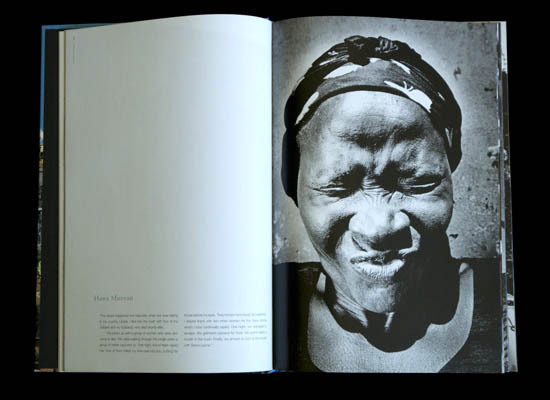 The book which was intended to be one of the most beautiful photographic books ever produced is only the first step on a long journey of cultural documentation and dialogue to the challenges we all face in an ever expanding modern world . With this initial visual statement of the Beforethey book , I hope to learn with active discussion how to broaden my knowledge and better communicate that many cultures are remarkable and that continuing with my well intended and executed visual recordings I can provide further invaluable documentation and continuing debate. Arriving in Sierra Leon, Liberia, Sudan, or Kenya, I realized that the men were holding the streets and I would have to confront them … they would be the curators of my exhibitions. Sometimes a photo is more than a photo. Sometimes it is a statement of place, sometimes of identity, sometimes it can be a process for interaction, and sometimes it can be a solution. Sometimes, even if it cannot change the past, it can act in such a way as to be a mechanism for hope and a handle on the future. 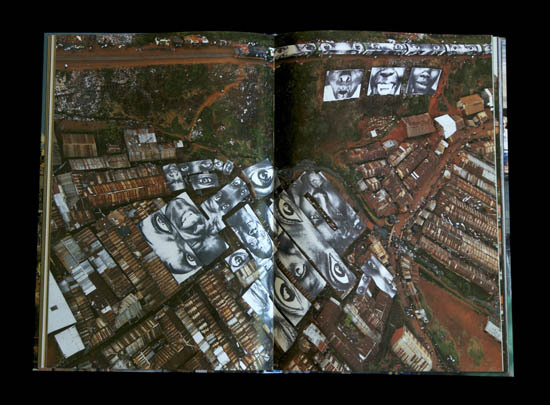 The anonymous French artist known as JR started making his marks when he was fifteen. He worked as a graffiti artist and was drawn to rooftops and underground spaces of the Paris metro. “Each trip was an excursion, was an adventure, it was like leaving our mark on society.” A chance discovery of a cheap camera in the metro led him to start documenting the activities of both himself and his friends. He then printed these photos, posted them, and tagged them. His graffiti work was now an ad hoc sidewalk gallery. He dubbed it Expo 2 Rue. The city is the best gallery I could imagine. I would never have to make a book and then present it to a gallery, and let them decide if my work was nice enough to show to people. I would confront the public directly – in the street. Any advert in a public space that gives you no choice whether you see it or not is yours. It’s yours to take, re-arrange and re-use. You can do whatever you like with it. Asking for permission is like asking to keep a rock someone just threw at your head. You owe the companies nothing. Less than nothing, you especially don’t owe them any courtesy. They owe you. They have re-arranged the world to put themselves in front of you. After the 2005 Paris riots JR’s subject matter quickly became political. He went into the housing projects to photograph youth. He used a 28mm lens. “It was the only lens I had at the time, but with that lens, you have to be as close as 10 inches from the person. So you can only do it with their trust.” These images were blown up and pasted in the more affluent areas of the city. A year latter the city itself got behind the project and the images were put up as part of Murs de la Maison Européenne de la Photographie, Paris. JR had an epiphany when he saw how images of youth from the housing projects, vilified in the media during the 2005 riots, could be repurposed in the public space. 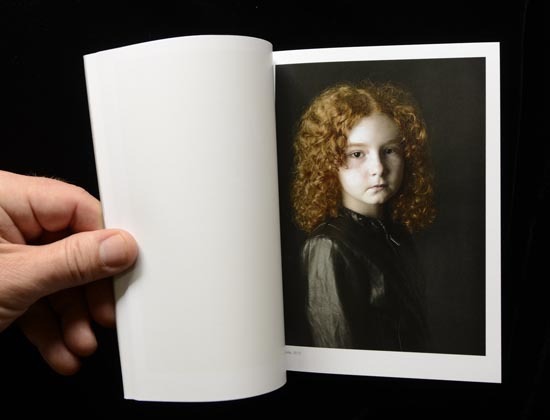 “The subjects could regain control over their own images. 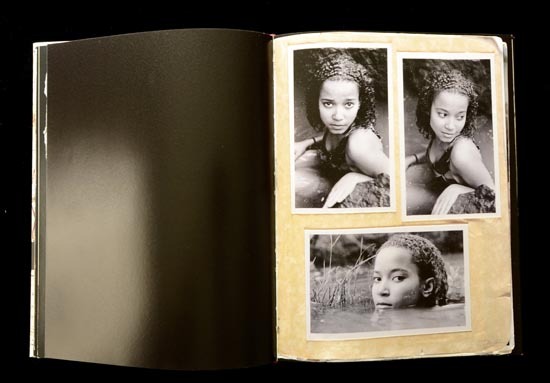 That’s when I realized the power of paper … and glue.” The series was called Portrait of a Generation. 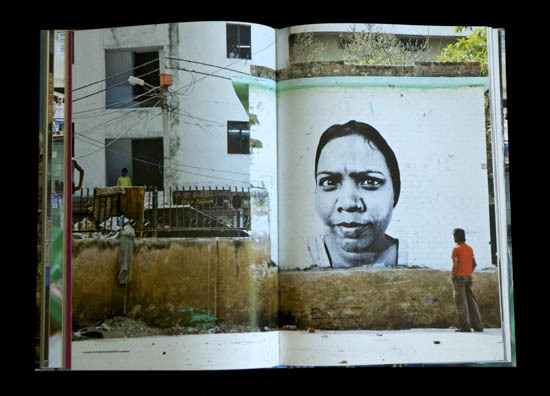 With the third project JR has enlarged not only his portraits but his geographic coverage. He sought out women in Sierra-Leone, Liberia, Sudan, Kenya, Brazil, India, and Cambodia. These are complex interventions involving a deep level of engagement with the community. 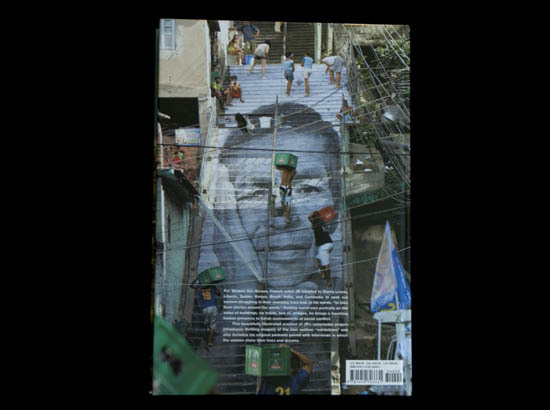 In the favela of Morro da Providência, a shanty-town within Rio de Janeiro, JR worked with groups of children on small scale work, getting locals to take photographs and then past their own cut-out portraits. 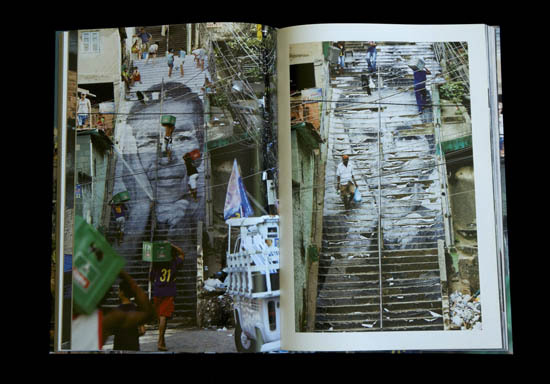 Once trust was established he moved onto his principle project – taking portraits of the women of the favela and completely covering the sides of houses with their faces. 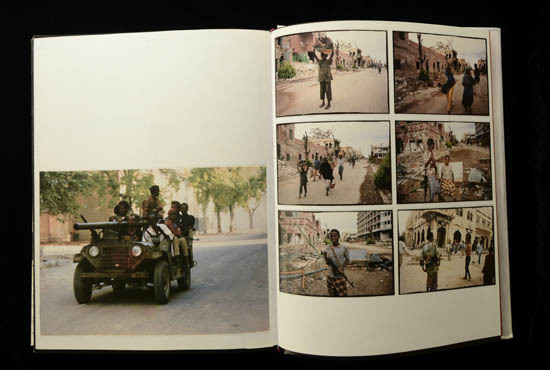 The book provides an explanation of how the work was carried out in the different countries. 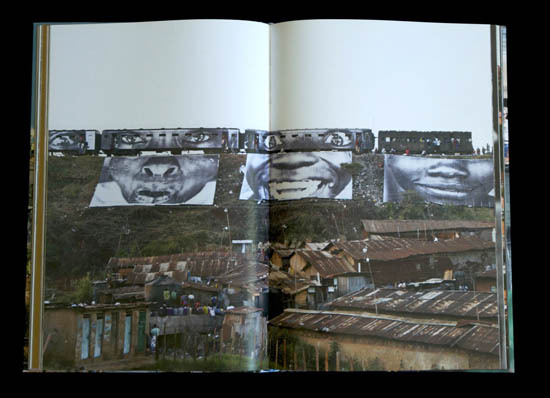 In Kibera, for example, (a section of Nairobi that contains the largest shantytown in East Africa), vinyl was used and the portraits were put on the roof, thus providing both art and a valuable building material. 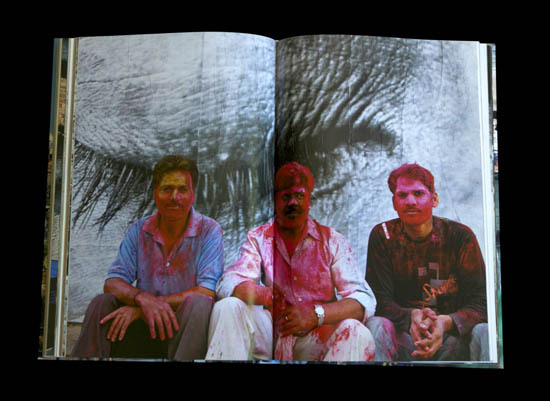 In India, where posting images was almost certain to be stopped by the police, they put up white sheets with the images printed in a sticky adhesive. The dust of the road (or the coloured powders of the Holi festival) made the portraits appear much later, once the paper hangers had left. 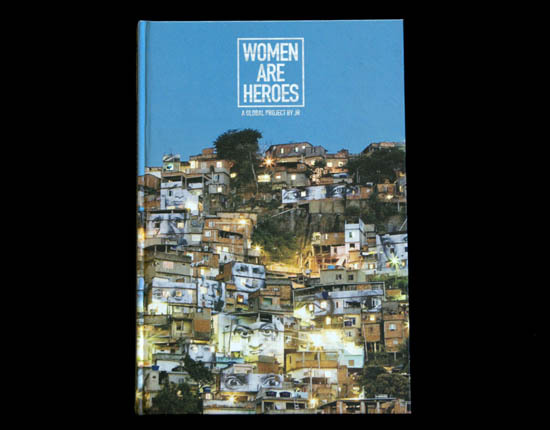 Women Are Heroes also contains the original portraits of the subjects and their stories. 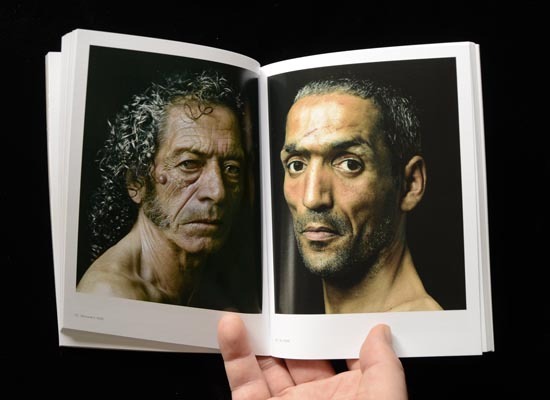 Told in the first person, the stories are a catalogue of life similar to that presented in Fazal Sheik’s Portraits. The narratives are difficult and painful, yet as the title of the book suggests, there is an inspiring resolve to live. Although Jr is now one of the most famous artists in the world (having won the 2011 TED prize, and commanding gallery space in most major cities), he continues to see his art as a way for communities to recover their own identity. He refuses to sign, or author the work and he insists that it cannot have any corporate affiliation whatsoever. His TED prize wish (Inside Out) was to complete another project in which he removed himself as photographer from the production of portraits. Instead people sent photos to him, which he printed and sent back to be used in a series of orchestrated installations all over the world. 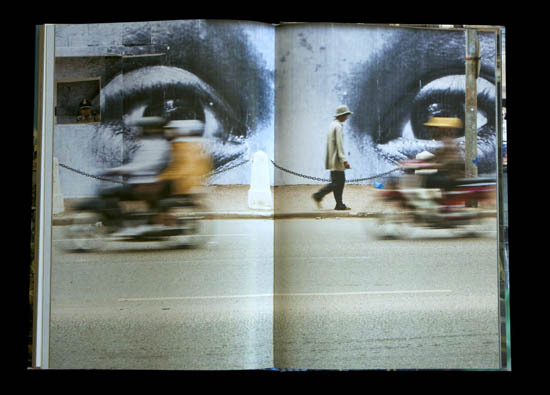 What JR has shown, and what Women Are Heroes so clearly details, is that the concept of photography and gallery can be exploded to the point where exhibition space can be anything from a Parisian bridge to the boxcars of a Kenyan train. But maybe, if the gallery is the world, the only appropriate thing to do is hold up a mirror – showing just a few of the millions of women who quietly endure adversity to live life with determination and stoic heroism. 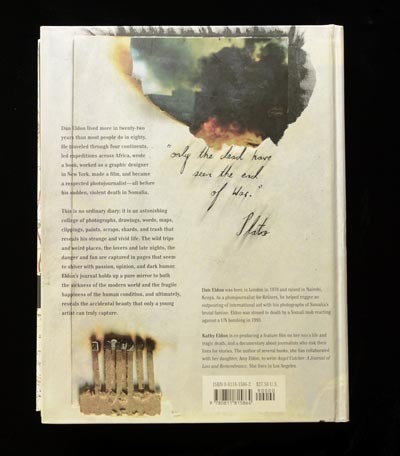 Tragedy can befall books just as it does people. 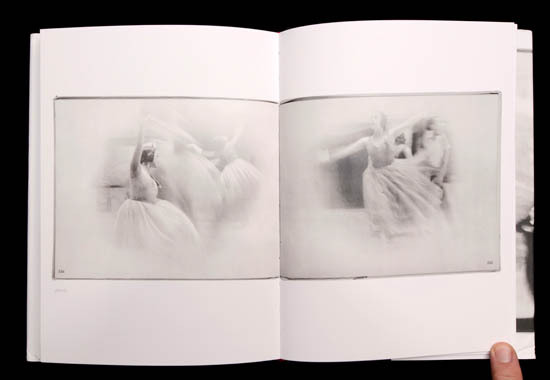 In 1956 a fire destroyed source material, negatives, prints, layouts and virtually everything that had gone into making Alexey Brodovitch’s first book of photography Ballet. 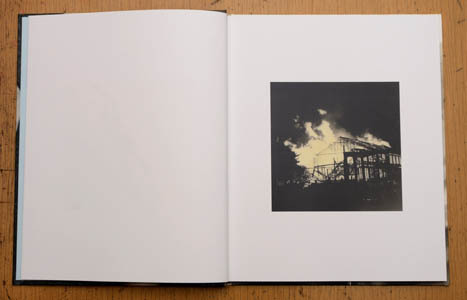 With a perverse tenacity a second fire consumed the few remaining copies of the book in Brodovitch’s possession some years later. Ballet was shot between 1935 and 1937. The first two years of the famous Farm Security Administration’s documentary photography project. The FSA employed the likes of Walker Evans and Dorothea Lange to create what are now some of the most well known images in the history of photography. But while Evans, Lange, and their colleagues were outside in the bright sun with professional equipment and the clear purpose of documenting the lives of the American dispossessed, Brodovitch was working in the gloomy backstage lighting of theatre halls with newly invented 35-mm film and a Contax camera. He had no lights other than stage lighting and he had slow film. He could barely hope to get a clear image. But, as it turns out, Brodovitch could do more with these shadows and luminous ghosts than most could do with their razor sharp imagery. 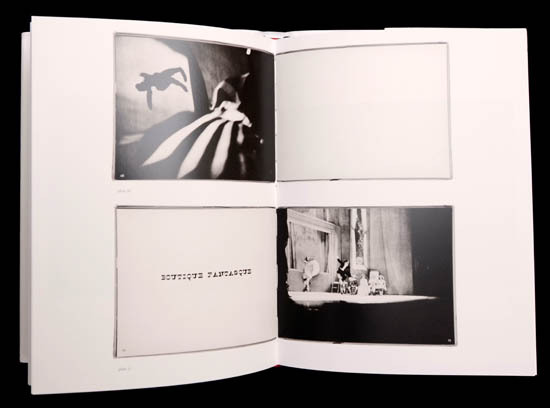 Alexey Brodovitch is best known as a masterful innovator and luminary of publication design. For 25 years he was the art director of Harper’s Bazaar, a position he used to rethink the relationship of image to text within the setting of the two-page spread. It could be argued that it was Brodovitch that gave us the magazine as we recognize it today. In 1933 he founded the legendary Design Laboratory, a nexus that, over the years, brought together such notables as Robert Frank, Diane Arbus, Irving Penn, Lisette Model and, of course, Richard Avedon. 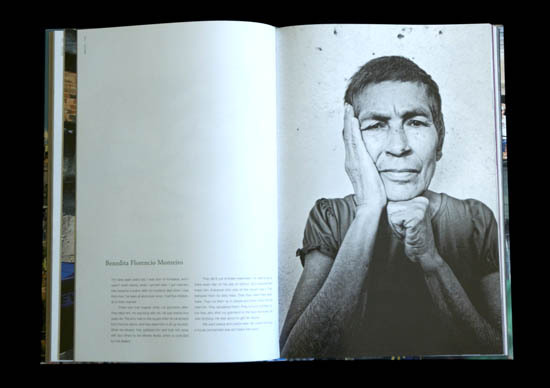 If one is familiar with Avedon’s work, Ballet provides the missing link between his hallmark portraits and his blurred, street work done in Italy during the 1940s, at the fall of the Berlin Wall in 1989, and in other environments where he abandoned his studio technique. Avedon’s work makes sense as someone working in a “Brodovitch” style. But when Brodovitch make his photos he was attempting something entirely new. As Edwin Denby states in his introduction to Ballet. 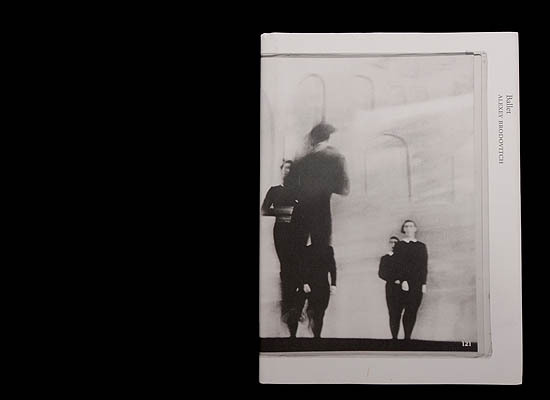 When you first glance at them Alexey Brodovitch’s photographs look strangely unconventional. 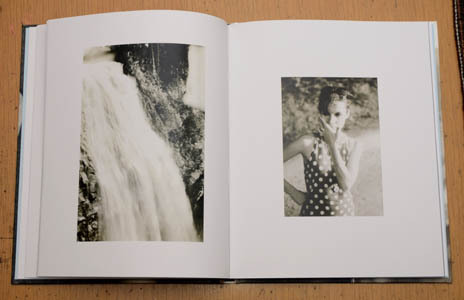 Brodovitch, who knows as well as any of us the standardized Fifth Avenue kind of flawless prints, offers us as his own some that are blurred, distorted, too black and spectral, or too light and faded looking, and he has even intensified these qualities in the darkroom. [… ] What he took, what he watched for, it seems, were the unemphatic moments, the ones the audience does not applaud but establish the spell of the evening. 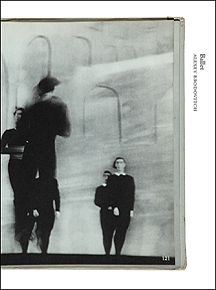 The Errata re-publication of Ballet is a very welcome book. It reproduces the pages of the original, yet it cannot really be considered a facsimile edition. 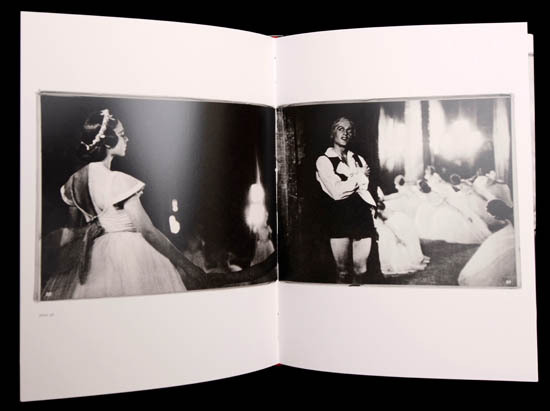 In fact, the layout is somewhat awkward as the standardized size of Errata’s books is at odds with the dimensions of Ballet. One wonders what Brodovitch himself would have made of the new housing for his work. It is a minor complaint, however, as the text of the original has been re-set and included at the back. Also included are some of the only surviving contact sheets of Brodovitch’s 35mm negatives. 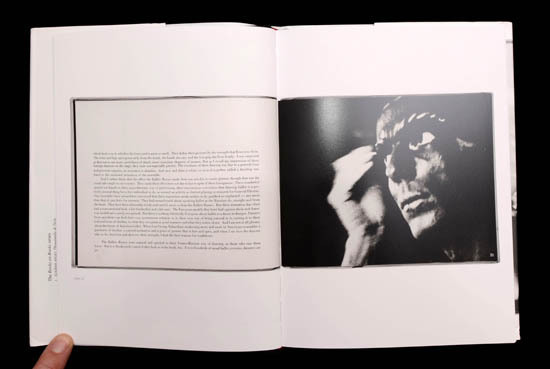 The Errata eddition clearly communicates the genius of Brodovitch’s design and image manipulation. 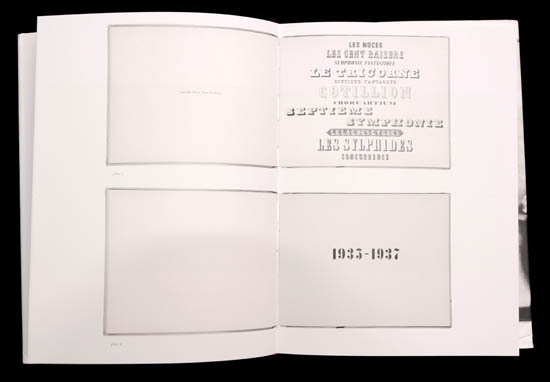 It is worth noting that Errata editions were “… inspired by the frustration of not being able to access the content of many of the important photobooks the medium has produced. 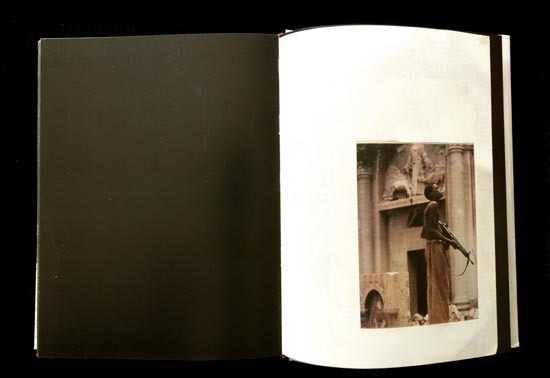 We find it distressing that these bookworks are no longer available to students or new generations of photographers.” Errata are dedicated to bringing out those volumes that will never be reissued in their original form. Ballet was first published in 1945 by J. J. Augustin of New York. 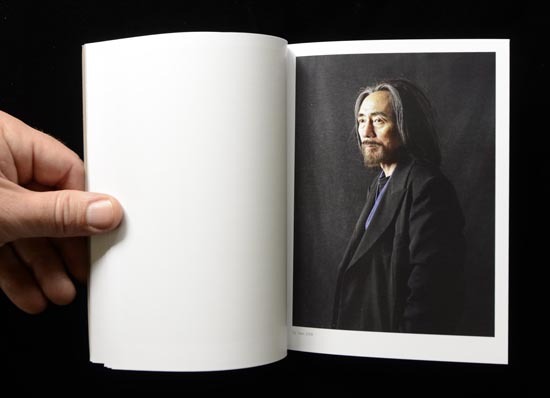 There were 104 photographs produced in the gravure style. The edition was 500. 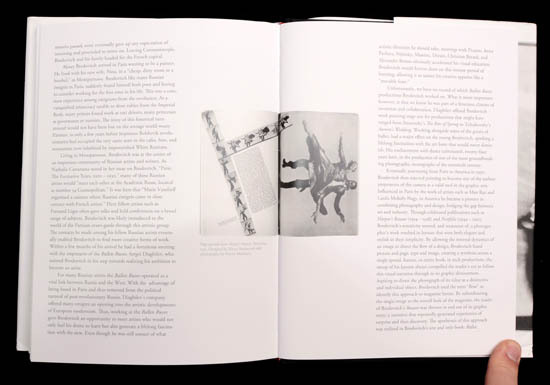 Additional information on the history of this influential book, including the quotes mentioned in this review, can be found in the Phaidon publication Alexey Brodovitch by Kerry William Purcell. Disclosure: A copy of this book was purchased online. I have this funny thing which is that I’m never afraid when I’m looking in the ground glass. This person could be approaching with a gun or something like that and I’d have my eyes glued to the finder and it wasn’t like I was really vulnerable. 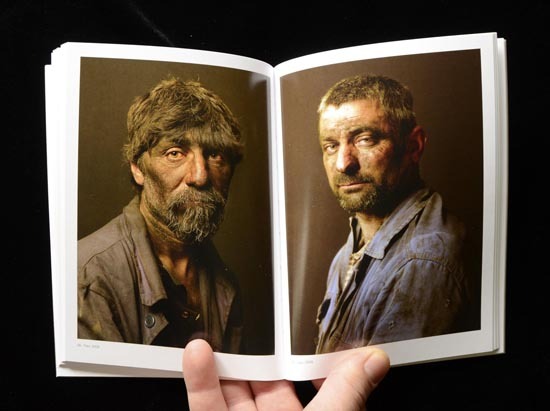 If Rembrandt were a photographer instead of a painter, and if he were drawn to the margins of society rather than to himself (and his other subjects) he might have produced works very much like those of Pierre Gonnord. With their dark backgrounds and characteristic lighting, these images are sculpted with an exacting attention to detail. They are, in fact, so painterly that they invite the viewer closer, encouraging a careful examination of the shadows and highlights in an attempt to perceive their true nature. In the book the images are the size of a postcard and so it is easy to mistake them for paintings. 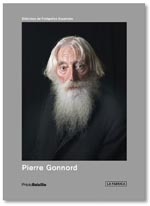 In his exhibitions, Gonnord displays the images much larger than life – sometimes four feet high, and so I expect, the effect is quite different. The subjects and the images are timeless. The clothing gives nothing away: an overcoat, perhaps a scarf; sometimes there is no clothing, only a naked shoulder. The portrayed are European punks, transients from Eastern Europe, Venetian Jews, Spanish and Portuguese peasants, Japanese geisha and yakuza, the Gypsies of Seville … There is beauty and there is a brutality – often combined in the same face. I choose my contemporaries in the anonymity of the big cities because their faces, under the skin, narrate unique, remarkable stories about our era. Sometimes hostile or distant, almost always fragile behind the opacity of their masks, they represent specific social realities and another concept of beauty. I also try to approach the unclassifiable, timeless individual, to suggest things that have been repeated over and over since time began. Born in France in 1963, Gonnord moved to Spain in his twenties and taught himself photography. 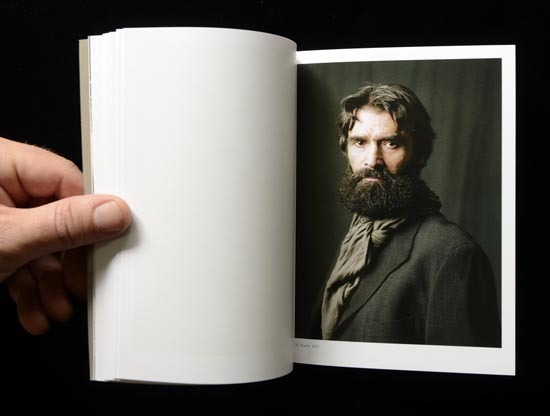 He has been widely exhibited in Europe and in 2012 the French Consulate in Atlanta invited him to complete a residency and a series of photographs, using local American southerners as his subjects. The camera has been like a lifejacket for me, an opportunity to go towards the rest, to approach the Other, to overcome the limits of my shyness, of my loneliness, of my condition and also my taboos. 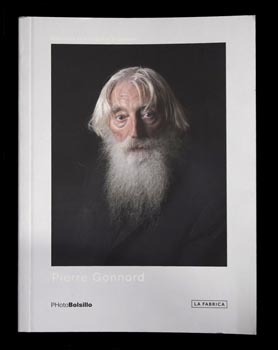 This sentiment is the echo of Diane Arbus’s relationship to her subjects, but where Arbus was uninterested in technical finesse, Gonnord has clearly perfected not only the art of photography but the painterly use of lighting to convey a specific conception of portraiture. PHotoBolsillo publishes a series of monographs on “the most important Spanish photographers” in an “instructive yet readable format.” The books are similar to the popular Photo Poche series started by the Centre National de la Photographie in 1982 (and brought into the English-speaking world in 1989 by Thames and Hudson under the title Photofile). Despite the PHotoBolsillo motto, the English translation of Lorena Martinez de Corral’s essay is not very readable, it is, in fact, awkward and a little painful. A minor complaint, and the only one I could make in the light of the pristine nature of the rest of this book. 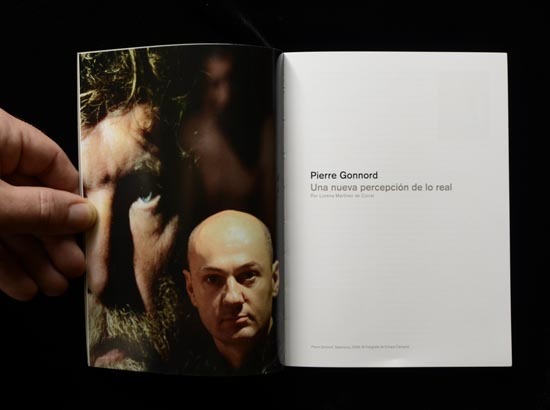 The tiny volume on Pierre Gonnord is an excellent introduction to a masterful and provocative photographer. 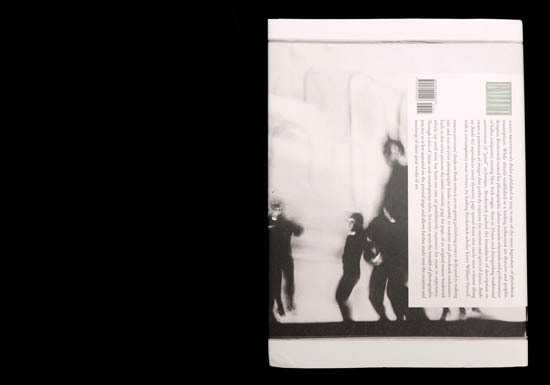 Disclosure: A copy of Pierre Gonnord was purchased online. Editor’s Note: This review appeared in 1997 when The Journey is the Destination was first published. 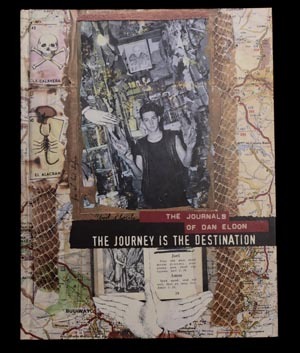 Since that time, Eldon’s journals have proved influential for photographers, artists, and graphic designers. 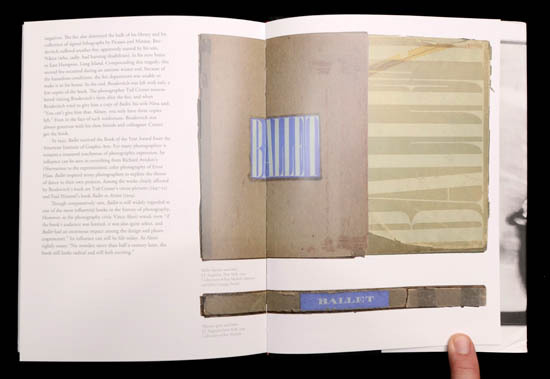 For those who admire its graphic sensibilities, this book would seem to encourage time spent with the computer unplugged, working directly with materials. The Journey is the Destination makes as much impact today as when it first appeared. It is difficult not to see these books as formative, as leading up to a major work. 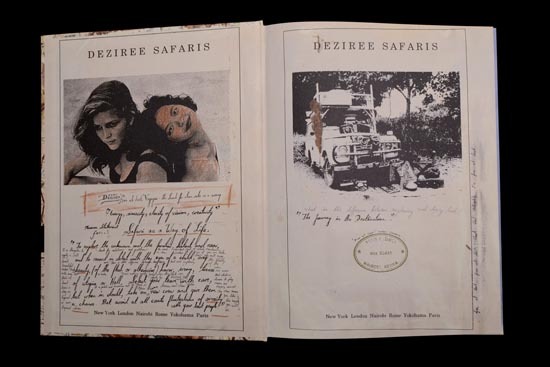 They are the storyboard for a film that was playing inside Eldon’s mind, a safari across dangerous land with beautiful women. 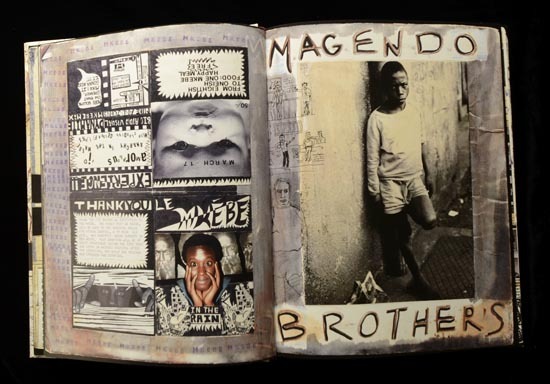 In their subject matter and in the richness of texture the books are similar to those of the American photographer Peter Beard. 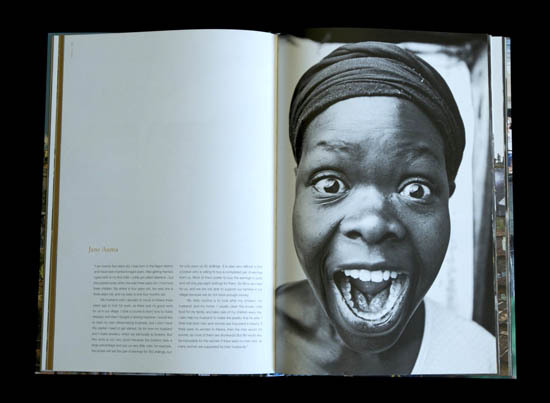 Beard, who lived in Kenya, constructed his books from animal, vegetable, and photographic matter. But whereas Beard’s books show the decimation of the big game populations he was working to save — starved elephants, fields of zebra hide, slaughtered rhinos — Eldon’s are centred on people: his sister, his travelling companions, a strange man in Morocco, Masai children and villagers. Eldon was interested in people, and the journeys he made usually had humanitarian ends. Dan Eldon’s work is beautiful. The pages are filled with graphic wonders, and the book can hardly contain the exuberance of the early journeys. 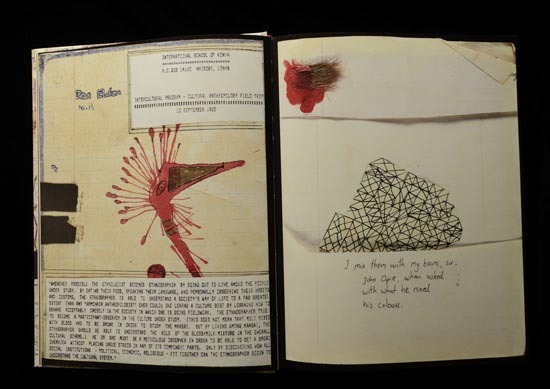 But later in the journals’ progression are also black pages of disenchantment and heartbreak, loneliness and confusion. The last pages show Eldon’s efforts as a war correspondent. These are stark, merely photos on paper. And after these few pages the last journal ends, abruptly. In an article entitled “Photography in Danger Zones”, published in Executive Magazine, Eldon had written: “The hardest situation to deal with is a frenzied mob because they cannot be reasoned with. I try to appeal to one or two of the most sympathetic and restrained-looking people with the most effective-looking assault rifles, but I have realized that no photograph is worth my life.” It was an ironic statement, for in July of 1993 an angry mob turned on Eldon and two other journalists who were photographing the site of a UN bombing in Somalia and beat them to death. 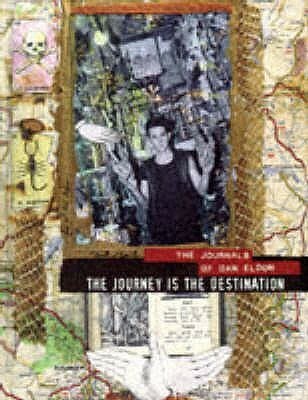 Disclosure: A review copy of The Journey is the Destination book was provided by Duthie Books. The found photo is a strange beast. It is a photo with one foot in the grave; redeemed (if that is the right word) through someone’s interest in it. Such a photo has been salvaged from the cardboard box at the flea market, from the album about to be discarded, or from the vast stacks of ephemera for sale in emporia both on and off-line. It is a photo that exists in two worlds at once: its original world, the world in which it was created by a photographer with intention (which may or may not explain the photo’s content) and its new world, in which it shall have new meaning, new context, and (depending on providence) another life entirely. 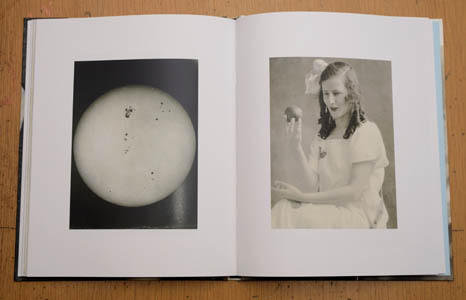 DIVE DARK DREAM SLOW is a second life for a number of photographs acquired by New York photography collector Peter J. Cohen. 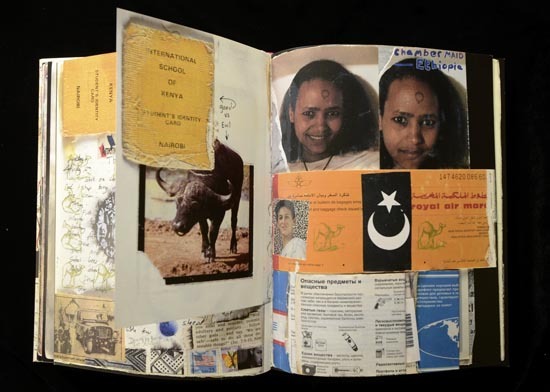 They have been curated and assembled by Melissa Catanese, who is both a photographer and a bookseller (She is the founder of Spaces Corners, an artist-run bookshop and project space located in Pittsburgh, PA.). Ms. Catanese has had long-term, hands-on access to the collection as she has been helping to edit and organize Cohen’s massive collection of more than twenty-thousand prints. The book has gained traction since it’s release. 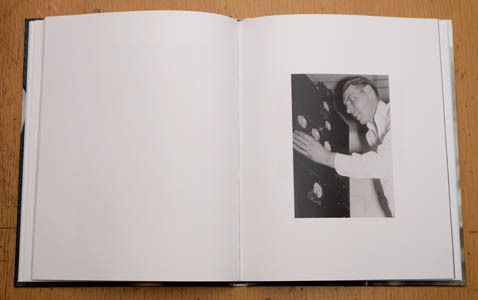 It has been shortlisted for the Paris Photo-Aperture Foundation PhotoBook Awards in 2012, and despite Jonathan Blaustein’s rather peculiar review in APhotoEditor (which seemed more about his mid-life crisis than the book), it appears to be doing well – making a number of shortlists for best photobook of the year, and generally sparking interest. The reason DIVE DARK DREAM SLOW is doing well could be that a book of this type has been expected for some time. A collection of found images organized, not by type – as are Martin Parr’s collection of boring postcards – but by letting the photographs resonate and interact with each other in the hopes of obtaining a lyric or poetic outcome. 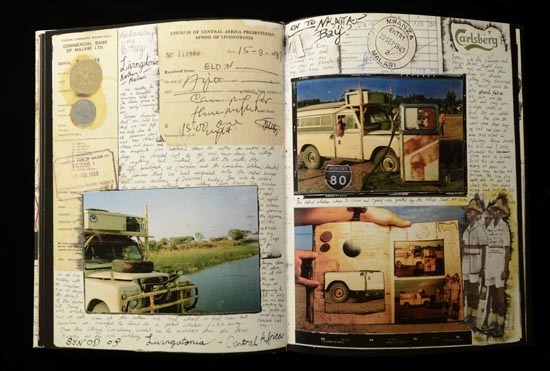 You can almost imagine the giddy delight at being let into Cohen’s collection of images with the idea of making a book of found photos. And yet, as an organizational structure, the play of association between photos is a tall order. And I can’t entirely agree with the promotional prose found on the publisher’s web site that “the book cycles through overlapping themes and counter-themes—moon/ocean; violence/tenderness; innocence/experience; masks/nakedness—that sparkle with psychic longing and apocalyptic comedy.” Often (as with the mask) a single photo does not make a theme. I also have two book-designer complaints. First, the image of a penciled caption from the back of a photo does not deserve a two-page spread. Moreover the gutter of the book makes reading the caption awkward. This gutter gets in the way with another two-page spread toward the front of the book where a man, who is supposed to be diving into an inner-tube, seems to be diving into the gutter instead. Certainly one can crack the spine and eliminate these problems. But a book lover would rather drown in rabbit hide glue than break the spine of a book. Does the book work? If the reader is prepared to spend some time to interpret the harmonic interference of the images, I think it does. The interplay is subtle. After all, it’s not like there is a correct way to interpret these things. 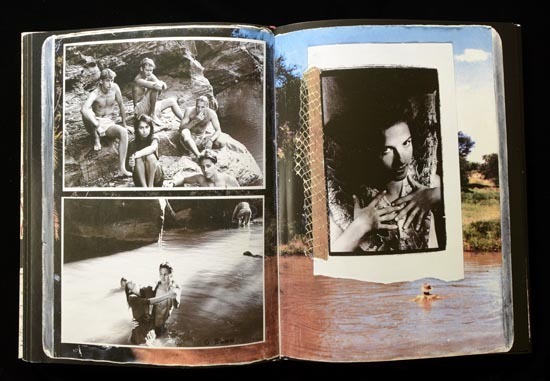 It is an easy book to dismiss out of hand, lacking both an auteur (who’s force of genius must certainly hold the work together) and a type (ahh they are all photographs of swimmers – now I understand). 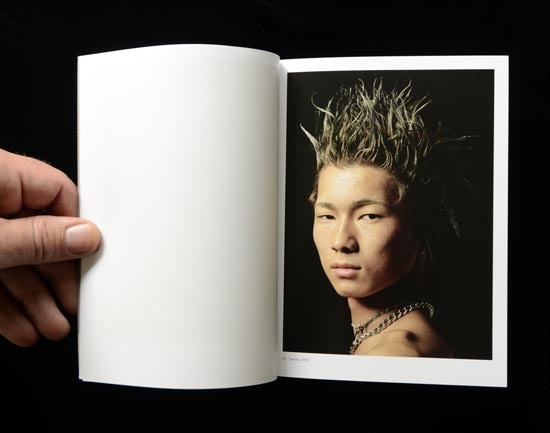 The book itself shares the same qualities as found photographs. Indeed, Dive Dark Dream Slow could have been culled from the collective photographic subconscious of western culture. Dive Dark Dream Slow was purchased online.